Rumor Report: How About A Classic Star Wars Beast For Galaxy Of Adventures? 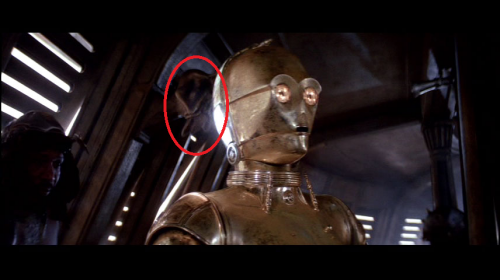 How many of you out there would like to know that there could be a famous classic Original Trilogy Star Wars beast in Episode 9? Well, click through for more! Rumor Report: What Unproduced Figures Are You Dying to See? Some interesting light has been shed on upcoming TVC2 waves. Click through to find out more. ← Smaller Case Packs When The Vintage Collection Returns? With the relative success and accolades the BB-8 2-In-1 Mega Playset has attained, it would make sense if Hasbro continued a playset type of product with a pack-in figure, wouldn’t it? We hope to see them take advantage of the playset market more consistently and see them keep it in the $129.99 to $149.99 range. It goes without saying that a new Star Wars film is the best time to do that sort of thing. Will The Momentum Of The TBS6 Centerpiece Collection Keep Going? We are quite fond of The Black Series [Phase III] Centerpiece Collection sets Hasbro has released this year on Force Friday II. They provide beautiful scenery and a great backdrop for the 6″ figures while introducing static figures a lot like the former Unleashed figures into the mix as well. With the release of Darth Vader and Luke Skywalker in this line already, we believe there are two characters are sorely missing from this line that we should probably expect to see in this format soon. Kylo Ren and Rey would make two important character releases in this format, no? Now that we have Princess Leia Organa and R2-D2 based on their A New Hope appearances in the bag for the Forces Of Destiny line, it would make sense for Hasbro to also include a Stormtrooper in this line too, wouldn’t it? More Speculation On A Future 6" Figure? Hey kids! You like “interesting, unconfirmed and speculative” facts, right? Well, how about another one to add to the list? I mean, I can’t really SAY much more with regards to its validity, so just go with it. Also, please don’t expect this to be clearly spelled out for you. If you’re interested, then click through for something interesting! Wouldn’t it “be” interesting to see into the future of The Vintage Collection? We are going to use our heads and come up with some things we “expect” to see. Click through for more. What's The Deal With All Of The Vintage Collection Repacks? Remember this “rumor” report? (Click HERE to see it.) This is what we were alluding to in that post. The previously exclusive Walmart The Black Series [Phase III] 3.75″ figures can now be ordered by mainstream retailers. Diamond Distribution is now soliciting orders for Admiral Ackbar, Ahsoka Tano, Emperor’s Royal Guard, Lando Calrissian and Imperial Death Trooper and Jyn Erso for an August 31st availability date. Not available to order: Scarif Stormtrooper (SMH). Also note nothing is listed from the Ponda Baba wave either. Walmart has lost exclusivity to this line and it’s now a mainstream item. “Rumor” also has it that there will be one more wave of boxed figures on or around Force Friday II, but you never know if Hasbro will save them for The Vintage Collection instead. We’ll have to wait and see! Most importantly, take note of the MSRP. It’s a pretty “good” indicator of what to expect next year for another very important collection. Are You A Good Hasbro, Or A Bad Hasbro? ← Winning! Keep Moving Away From 5POA! Another JTA Rumor Confirmed Today! Yes! Another rumor report of ours has been confirmed! Do you remember this rumor report from 2014? Today during the Hasbro presentation at SDCC, Joe Ninivaggi joked about how long it took them to work in Captain Rex into The Black Series 6″ line. He even admitted to the three-year long delay in getting this figure out! Captain Rex looks beautiful! This is great news indeed! Hey, if it took them three years from our rumor report of The Vintage Collection returning for it to happen, we’ll also let three years of waiting for Captain Rex to become a reality too! Is It Possible That Things Are Worse Than What Is Relayed/Perceived? What Would Your Reaction Be If 2018 TVC Wave 1 Looked Like This?